College students in South Dakota have the potential to finance their educations for free. Federal and state grants, institutional scholarships and privately administered programs provide free college funding to students from South Dakota, whether they plan to attend a college and university in South Dakota or another state. For the greatest chance of receiving free money for higher education, South Dakota students should begin researching and applying for grants and scholarships as early as possible, preferably during the junior or senior year of high school. There are several federal educational grant programs administered by the U.S. Department of Education Office of Federal Student Aid that assist South Dakota college students in their pursuit of higher education. A federal Pell Grant provides free money for college to South Dakota students enrolled at least half time and who have a minimal expected family contribution to education expenses. To be eligible, students must be working towards their first bachelor’s degree or post-baccalaureate teaching certification. Pell Grant awards, based on financial need and educational expense, are different for each student, but the maximum grant amount for the 2011-2012 school year is $5,550. To apply for a Pell Grant, students must submit a Free Application for Federal Student Aid (FAFSA) online at www.fafsa.ed.gov. A Federal Supplemental Educational Opportunity Grant (FSEOG) is available to South Dakota college students who are eligible for the Pell Grant. The FSEOG provides additional educational funding up to $4,000 a year to students with extreme financial need. Together with the Pell Grant, the FSEOG provides South Dakota college students with money for tuition, books and living expenses while in school. Students must fill out a FAFSA to be considered for the FSEOG. Academic Competitiveness Grants (ACG) are available to South Dakota college students who qualify for a Pell Grant and who have completed a rigorous high school program as recognized by the U.S. Secretary of Education. In general, qualifying students will have completed four years of English, a minimum of three years each of math, science and social studies, and at least one year of foreign language studies. ACG’s are awarded for the first and second years of undergraduate study only. The first year award is $750 and the second year award is $1,330. South Dakota students must submit a FAFSA to be considered for the ACG. The National Science and Mathematics Access to Retain Talent Grant (SMART) is available to Pell Grant eligible college students in South Dakota who are studying science, mathematics, technology or engineering. The SMART Grant is also awarded to South Dakota students majoring in a critical foreign language, such as Arabic, Chinese, Russian or Urdu, among others. A SMART Grant provides up to $4,000 per year for third- and fourth-year undergraduates, and also may be awarded to fifth-year students in a five-year program. South Dakota college students must submit a FAFSA to be considered for the SMART Grant. Teacher Education Assistance for College and Higher Education Grants (TEACH) provide up to $4,000 a year to South Dakota students who are training to be teachers. Students must fill out a FAFSA to receive the TEACH Grant, but the grant is not awarded based on financial need. The TEACH Grant is awarded to South Dakota students who agree to teach in a high need field or in a low-income area for at least four years within the first eight years of graduation. The funds are distributed through participating schools, so students need to inquire with the financial aid office at the college or university they will be attending to determine eligibility. 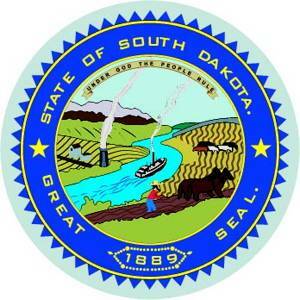 The South Dakota Board of Regents has legal jurisdiction to govern the state’s higher education system and administer several state-funded scholarship programs. The South Dakota Opportunity Scholarship is awarded to college students who are South Dakota residents, and will attend a college or university in South Dakota accredited by the Higher Learning Commission of the North Central Association of Colleges and Schools. The Opportunity Scholarship provides $1,000 for the first three years of undergraduate studies and $2,000 for the fourth year. Eligible students will have completed a South Dakota Regents Scholar curriculum or the equivalent with a grade of C or better while in high school and have a minimum ACT score of 24. South Dakota students interested in applying for the Opportunity Scholarship should submit the application, along with high school transcripts and a copy of the ACT score report, to the college or university they wish to attend. For more information about the South Dakota Opportunity Scholarship or to download an application, click here. The Dakota Corps Scholarship was created by South Dakota Governor Dennis Daugaard to encourage South Dakota high school students to attend college in state and remain in South Dakota after graduation. The Dakota Corps Scholarship covers maximum tuition and fees for up to four years at a public, technical or tribal college in South Dakota. Students who choose to attend a private college must apply for additional funding through the college. To be eligible, students must have a high school GPA of 2.8, a minimum ACT score of 24 and must commit in writing to work in a critical-need field as determined by the South Dakota Department of Labor after graduating. The critical need commitment period is equal to the years of scholarship assistance plus one. Additional information and application materials for the Dakota Corps Scholarship are available at this link. The Jump Start Scholarship is offered to students who graduate from a South Dakota public high school in three years or less. The Jump Start Scholarship is funded with money the state saves as a result of the student graduating early. South Dakota students who attend full-time at an in-state college accredited by the Higher Learning Commission of the North Central Association of Colleges and Schools will receive $1,771.34 for their first year of college. Jump Start Scholarship information and applications are available here. The South Dakota Board of Regents is also responsible for managing the state’s four endowed scholarship funds and selecting suitable student recipients each year. The Bjugstad Scholarship provides financial support in the amount of $500 during the first year of undergraduate study to one Native American student each year from South Dakota or North Dakota who will study agriculture or natural resources at any college or university in any state. To be eligible, students must apply during the senior year of high school, be a member of a federally recognized tribe located in South Dakota or North Dakota and submit the required application materials to the South Dakota Board of Regents by the required deadline. Additional information and applications for the Ardell Bjugstad Scholarship are available at this link. The Haines Memorial Scholarship is a highly competitive, non-renewable scholarship awarded to one South Dakota public college student each year in the amount of $2,150. Eligible students must be studying to become a teacher, have a minimum of a 3.5 GPA and be a sophomore, junior or senior. Applications and additional information for the Haines Memorial Scholarship can be found here. The Fowler/Kaden Scholarship is awarded to two South Dakota college freshmen each year in the amount of $1,000 each. Eligible students will have a minimum high school GPA of 3.0 and plan to major in elementary education at Black Hills State University, Dakota State University, Northern State University or the University of South Dakota. Students should submit the scholarship application to the South Dakota Board of Regents during their senior year of high school. Further information and applications for the Fowler/Kaden scholarship are available here. The Scarborough Memorial Scholarship provides a $1,500 award to one South Dakota public university student each year. Any South Dakota public college student with a GPA of 3.5, who will be a junior when the scholarship is received, may submit an application to their university’s financial aid office. Each public university in South Dakota will then submit one student nominee (chosen from the university’s applicant pool) to the South Dakota Board of Regents, who will select a scholarship recipient for the year. Application deadlines are different at each university, so interested students should contact their university’s financial aid office for more information. General information and applications for the Scarborough Memorial Scholarship can be obtained at this site. South Dakota is home to eight federally recognized Native American tribes, and these future college students may qualify for one of many grant and scholarship opportunities aimed at serving American Indian communities. Native American students are eligible for a number of educational grant funding opportunities provided through private organizations, special interest groups and government agencies. South Dakota college students who are a member of an American Indian tribe should research the following grant and scholarship programs to determine if they meet the minimum qualifications. South Dakota college students who are a member of a federally or state-recognized tribe can apply for the Presbyterian Church (USA) Native American Education Grant (NAEG). The NAEG provides students up to $1,500 a year for a maximum of four years of undergraduate study. To qualify for the NAEG, applicants must be working on their first undergraduate degree, be enrolled full-time at any accredited college or university in any state, and maintain a 2.5 GPA. NAEG applications and additional information are available from Presbyterian Church (USA) website. South Dakota college students who are either American Indian or Native Alaskan US citizens are eligible for one of three Indian Health Service (IHS) scholarships. These highly competitive scholarships are awarded to Native American students who are training for a career in a healthcare field. IHS identifies priority categories each year which are given funding preference. The IHS Preparatory Scholarship pays for tuition and fees for undergraduate courses that must be completed in order to qualify for entrance to a health or allied health degree program. The scholarship is awarded for a maximum of two years to members of federally recognized tribes and their descendants. The IHS Pre-Graduate Scholarship provides for tuition and fees for undergraduate pre-medicine, pre-dentistry and pre-podiatry programs as a prerequisite to graduate health or allied health studies. The scholarship is awarded for a maximum of four years to members of federally recognized tribes and their descendants. The IHS Health Professions Scholarship provides money for undergraduate and graduate degree programs in health and medicine for South Dakota students who are members of a federally recognized tribe. The scholarship pays for tuition, fees and other educational expenses for up to four years. Students who receive the IHS Health Professions Scholarship must agree to a service commitment in their tribal community equal to the number of years of scholarship assistance. Complete details and application information for all IHS scholarships are available at the IHS website. The American Indian Science and Engineering Society (AISES) administers several competitive scholarship funds for American Indian, Alaska Native and Native Hawaiian college students. To be eligible for any of the scholarships, students must be a member of AISES, maintain a 3.0 GPA and be enrolled full-time in an undergraduate or graduate program at an accredited college or university. The AISES Intel Scholarship is a one-time, non-renewable scholarship for students majoring in computer science, computer engineering or electrical engineering. Award amounts are $5,000 for undergraduate students and $10,000 for graduate students. South Dakota students who meet the minimum scholarship qualifications can find additional information and an application by clicking here. The Burlington Northern Santa Fe (BNSF) Foundation awards five scholarships annually, totaling $10,000 apiece, for eight semesters of undergraduate course work. Native American high school seniors in South Dakota who will study Business, Math, Science, Technology, Engineering, Education, Medicine or Health Administration, and have maintained a 2.0 GPA in high school are eligible to apply. Complete details are available at the AISES website. Students who apply for the BNSF Foundation Scholarship and are not selected are automatically considered for the A.T. Anderson Memorial Scholarship. A.T. Anderson Memorial Scholarship is a one-time, non-renewable scholarship in the amount of $1,000 for undergraduate students and $2,000 for graduate students working toward a degree in science, engineering, medicine, natural resources or math. Students must submit application materials directly to AISES by the required deadline for consideration. Complete scholarship information and applications are available here. The Native American Finance Officers Association (NAFOA) awards multiple merit-based scholarships to Native American students working towards an undergraduate or graduate degree in finance, business, accounting, economics or marketing. To be eligible, South Dakota students must submit proof of tribal enrollment, college enrollment and transcripts with an official application. The award amounts vary yearly and are dependent upon available funding. Additional information on NAFOA scholarships can be found here. The American Legion of South Dakota sponsors two scholarships annually to be awarded to accomplished high school seniors. The American Legion High School Oratorical Scholarship program awards multiple scholarships to South Dakota students who demonstrate exemplary oratory skills. Students compete at the district and state level, with the state winner advancing to the national competition. Scholarships vary according to contest results, with prizes ranging from $100 to $1,000 at the state level, and up to $18,000 at the national level. South Dakota students interested in competing may obtain additional information here. The American Legion Eagle Scout of the Year Scholarship is awarded to a Boy Scout who is at least 15 years old and has attained Eagle Scout status in a troop chartered to an American Legion unit. The South Dakota Legion will select one student to compete at the national level for scholarships up to $10,000, payable upon the recipient’s high school graduation. South Dakota students should visit this link for a complete list of scholarship qualifications. South Dakota college students whose parents died from accidents sustained while serving as fire fighters, police officers and emergency medical technicians may qualify for a 100% tuition waiver at public colleges and universities in South Dakota. The waiver applies to campus-based undergraduate courses and is limited to eight semesters of support. To be eligible for the waiver, the parent must have died before the student turned 21. Qualified students should visit this web page for complete benefit details. South Dakota college students who are a resident of a different state, but who have at least one parent that graduated from a South Dakota regental university, will pay the in-state tuition rate for campus-based courses. The out-of-state rate will be assessed for off-campus and distance education courses. No separate application need be made; the university will automatically process the reduced tuition based on parent information provided on the student’s application for admission. More details are available here. The American Council of Engineering companies of South Dakota (ACEC/SD) awards one merit-based, potentially renewable scholarship each year to a South Dakota college student who plans to enter the field of Consulting Engineering. The scholarship is awarded to an upperclassman enrolled in an engineering program approved by the Accreditation Board for Engineering and Technology. Downloadable applications and detailed scoring information for ACEC/SD scholarships are available at council’s website. The South Dakota Telecommunications Association (SDTA) selects one student each year to receive the $2,000 Brian Meyer Memorial Scholarship. Qualifying students must be a SDTA customer, studying any subject at any accredited college or university in South Dakota. Additional requirements and a scholarship application can be obtained from the SDTA website. South Dakota law provides for a 50% tuition reduction at state colleges and universities for all current members of the South Dakota National Guard. The program will cover up to 128 credit hours towards a Bachelor’s degree and up to 32 credit hours towards a Master’s degree. Students are responsible for all applicable fees and remainder of tuition. Qualified students can learn more at this link. South Dakota college students who are enrolled in ROTC, are classified as juniors or seniors, and have reached the level of Senior ROTC cadet qualify for a 50% tuition reduction. ROTC students should contact their campus representative for additional information. South Dakota residents who are veterans of the U.S. Armed Forces or have served in active combat qualify for a 100% tuition waiver for campus-based undergraduate courses at state-supported colleges and universities. Tuition for off-campus and distance education courses is assessed at fifty percent for eligible veterans. The tuition waiver is renewable for up to four years, dependent upon length of military service. Complete details are available here. South Dakota college students age 25 and younger whose parent was a South Dakota resident that died while enlisted in the U.S. Armed Forces will receive a 100% tuition waiver for on-campus undergraduate and graduate courses. The waiver does apply to off-campus and distance learning courses. Eligible students must attend a public college or university to receive the tuition waiver. Click here for additional information. Spouses and children of deceased or permanently and totally disabled members of the South Dakota National Guard qualify for a 100% tuition waiver at South Dakota colleges and universities. Students will still be responsible for all applicable fees. Eligible students must be a South Dakota resident, and guardsmen’s children must be under the age of 25. Visit this link for information on how to apply for benefits. South Dakota college students who are spouses and children of U.S. Armed Forces members who were taken prisoner of war (POW) or are missing in action (MIA) can receive a 100% tuition waiver for up to eight semesters of full- or part-time study at a state college or university. Spouses who were legally separated at the time of disappearance are not eligible for the waiver. Qualifying children must have been born before or during the time when the parent was a prisoner or went missing. The parent or spouse must be listed as a South Dakota resident and be classified as a POW or MIA by the U.S. Department of Defense. Complete details and application information are available here. The South Dakota National Guard Enlisted Association (SDNGEA) selects multiple scholarship winners each year. Eligible students are current and retired members of South Dakota National Guard units and their immediate family members. The South Dakota National Guard Memorial/USAA Scholarship provides three scholarships, in the amounts of $1,000, $500 and $100 each. The CSM Virgil R. Williams Scholarship Program awards a minimum of two scholarships in the amount of $2,000 each year to qualified undergraduate students. Enlisted Association of the National Guard of the United States (EANGUS) Auxiliary Scholarships are awarded to four students nationally in the amount of $1,000 to $1,250. Specific guidelines for each scholarship vary, so interested students should consult the SDNGEA website for complete details. The Soroptimist International (SI) club administers two scholarship funds aimed at increasing women’s skills and employment opportunities. The SI Women’s Opportunity Award is open to female heads of household residing in South Dakota who are working on their first college degree that would otherwise be unable to afford a college education. The North Central Region will award one $5,000 scholarship and at least one $3,000 scholarship each year. The awards Application for the Women’s Opportunity Award are available at the SI website and should be submitted to the Sioux Falls chapter of Soroptimist International. The SI Past Governors Award provides a $2,000 fellowship to a female student in South Dakota working on a postgraduate degree in Public Service, International Studies, or a field women don’t traditionally enter. For more information and to download an application, visit the SI website. Completed applications for the Past Governors Award should be submitted to the Sioux Falls chapter of Soroptimist International.